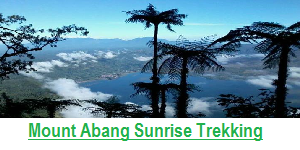 We decided to take a 3-hour trekking Tour to Bali Twin lake Jungle Trekking Tour or Trek to Lake Buyan and Tamblingan with Bali Jungle Trekking team. I loved how responsive they are to customers. 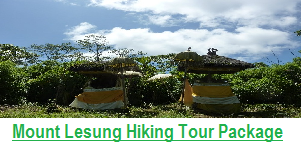 From the time we made reservation through email until the day we did the trekking. Our guide was very professional; he gave us a lot of information about Local Culture and the Twin Lakes History. Before going on trekking, we got a trekking equipment, bottled water and fruit for refreshment during the trek (very refreshing oranges, btw). Of course, the highlight of the day was canoeing to crossing Lake Tamblingan. It was misty that day, so it added the exotic ambiance. 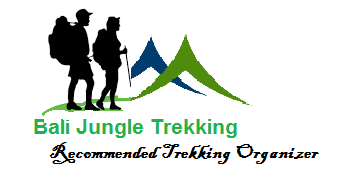 Thank you for the beautiful adventure – Bali Jungle Trekking Team and take care! 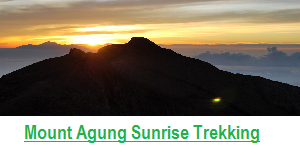 We used Bali Jungle Trekking Team to arrange our Mt Batur sunrise trek and I’m so happy with their service! We had the best private guide Gede who helped us along when the trek got a bit too steep and made the experience that much better for us! 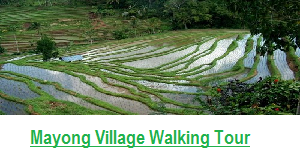 Highly recommend this tour and wouldn’t hesitate booking through Bali Jungle Trek, communication was easy and both driver and tour guide were amazing! 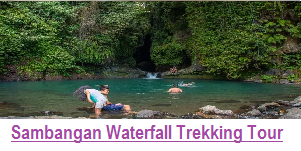 We did the trek & rafting with Bali Jungle Trekking Team and We were picked up by early morning 2 am by our driver Gede who was before time and it’s was amazing. It was a 1 hour drive from ubud to Mount Batur Trekking Point and there were more than 100 of groups who were ready for the similar trek. We were met with our local guide and who took us to the submit Mt. 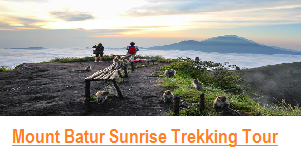 Batur. It was about 2 hours climbing and our guide was well knowledge also very friendly. The temperature was quite cold and the we just we kept climbing we could feel the heat. We started by 3.30 AM and we were on the top of Mt. Batur by 5.30 AM. Our guide took us to a nice seating place which was not too crowded, so we can relax when waiting sunrise coming. The sunrise from that altitude looks amazing and then we were served Banana’s, Breads, Juice & Coffee. He then took us to the cave and told us about the history of the volcanic eruptions. Downhill took us an hour more and we were done and our driver Gede was already waiting for us. After we arrived in the village then we introduced to local tour guide named Gus who took us to exploring Sambangan Village and it’s waterfalls. during the walk to there we saw a lot of the local village and nature. Also I got my first Jungle tattoo, The view there is amazing. After we arrived at the first waterfall named the blue Lagoon we took a swim in this amazing light blue refreshing water, which was much needed after the walk in the hot afternoon. After we cooled down we went further to see more waterfalls ( Aling – Aling Waterfalls, Kroya, Kembar, and Pucuk Waterfalls, where you could jump of cliff and the waterfall itself off course. This was overall an amazing and humbling experience. After the long walk and swimming we were very hungry so Made ( Our Driver ) took us to a local restaurant. The food here was so Nice ( I like spicy) We got a grilled fish wich is grilled on old coconuts so you got that burned wood like flavour in there. And there was a soup filled wich so much flavour. I am still dreaming about this soup. After finishing the food we drove off to a local village where they make palm sugar in a traditional way and we even got a piece of that sugar to take home.